Amidst the ongoing trade tariffs tension, we hear of the upheaval of global supply chains where companies and suppliers frantically shift their production and export sources to avoid the impact of increased tariffs. We see the fear of depressed global trade, especially in how the market capitalisation of these companies have been sold down by investors; even huge, critical suppliers or even companies which used to boast cheap production sources as their “competitive advantage”. Yet, Healthcare Comforter did well in their global expansion plans amidst the trade tariffs tension, by simply continuing with their concept of Glocalisation over the past years. Instead of entering a new market with the most straightforward “easy” method to increase sales – by setting up an overseas sales branch and “simply sell” their way through, decades ago the management decided to painstakingly lay deep foundations in each new country by setting up local companies, procuring parts from complimentary local vendors, building products locally and/or with imported parts, and most importantly, hiring local talents. Thereby providing a source of income for its local employees and improving their livelihoods, as well as selling to local clients and end consumers, thus helping to create a real consumer-demand-led cycle that is virtuous, affordable, and of local preference. Such was the wisdom of the management to foresee what their main global peer failed to see – that a product is viable only if it truly touches the hearts of its end consumers, and where its highly touted functionalities serve the needs of the needy only as far as their earnings power carry them. I say wisdom because in today’s context, it seems most of the companies impacted by the protective trade policies are those that lacked to a great degree empathy towards their host nations, and where the rules of the day were to “manufacture cheap anywhere” and “just sell” to the richest countries. We see this most jarringly in the ongoing China-US trade tension situation when the President of the United States declared he wants manufacturing jobs to return to the USA (Of course, whether this is the real reason for the trade tension is a long debate, but we do see the differing impact on Mexico, Canada and Japan versus China so far). We see this in the continuing Forest City saga across the causeway where the Malaysian Prime Minister declared he will not support projects that are designed by foreigners, for foreigners, and not meant to uplift the locals. We see this in the increasingly critical Swadeshi movement in India, a policy that started 113 years ago to encourage the “Made in India, Consumed by Indians” culture. Glocalisation is here to stay – Just look at how every foreign motorcycle manufacturer in India has had to partner, at one point or another, with a local manufacturer and come up with designs that specifically cater to the Indian terrain. Even the almighty Harley Davidson is considering a local partner and rethinking their iconic huge v-twin engines to introduce smaller 250-500cc engine capacities for the Indian market. 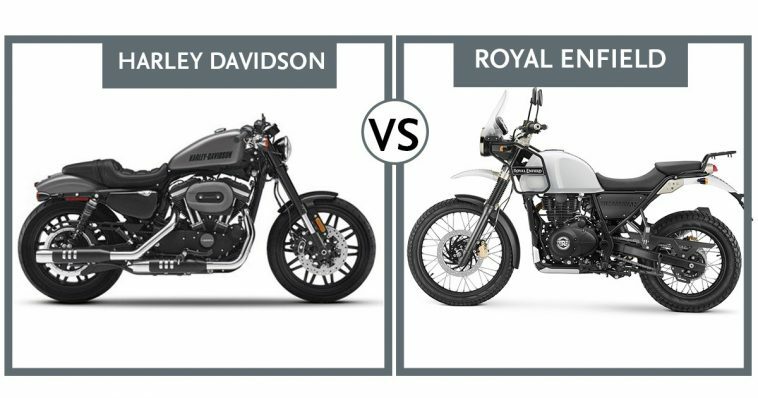 It might be hard to imagine that Harley Davidson would be brought to their knees with a small displacement engine capacity, but without local designs, their chances are slim against motorcyclist adventurer Vikram Lal, the founder of Eicher Motors, and the cult-like fanbase behind the adored, respected, and revered Royal Enfield. Could we see the change brought about by this forceful entrepreneurial awakening then, that companies can no longer go by the old rulebook where the purpose of business is to make money, and to make money only? Against this new rulebook, would we look back and say Healthcare Comforter was more “entrepreneurial” in that they believed in uplifting their communities, long before any “Made Locally” policy was forced upon them? Perhaps, maybe naively, investors should look for the critical quality in management of empathy towards their stakeholders namely end consumers, employees and communities – specifically not because they have to, but because they want to. Maybe that will give us a clue as to the quality of our management, and the degree they actually care for their shareholders, if anyone at all.